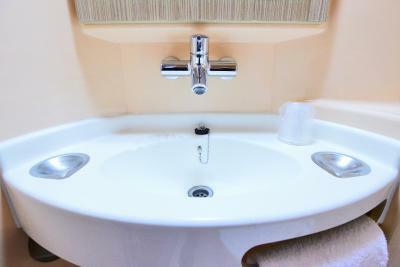 The room was clean and the staff are friendly, we did not speak the same language but they made every attempt to make sure we reached an understanding. 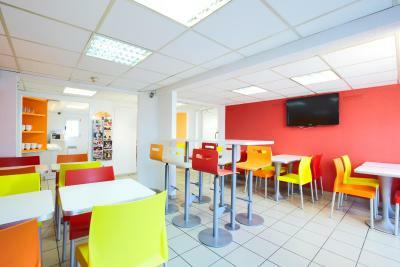 There are vending machines and a microwave on site as well as 30 channels of programming on the TV and a clean bathroom area. It is easily reachable via Uber or any local taxi service, i was not able to find the train links but i am assured they are a short walk away. 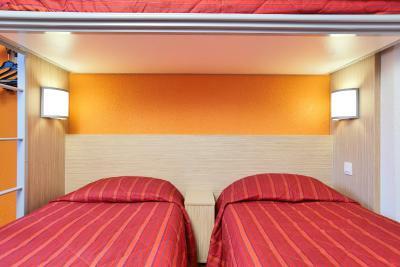 The rooms are warm and the beds comfy, there are also multiple power sockets to charge your devices. 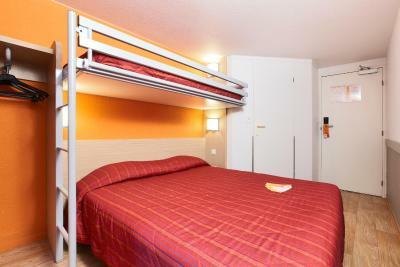 At less than 50 euros a night i think we got decent value for the money. 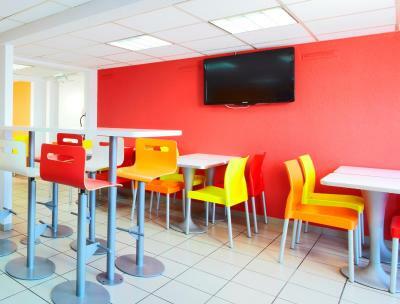 Very clean, staff was friendly and helpful, a good budget hotel,we have stayed there before and will do so again when we are in Paris. Great secured parking and the staff were very friendly and helpful. Good location close to trains and shops. Room was a bit small but comfortable. I was overall happy with expierence and so were my friends as we are an international band on tour and visit Paris frequently. But what concerned me was they false advertised that we would revive breakfast as part of the piece and once we had arrived at the property they asked for more money for the breakfast. This should be something that is looked at as it could put potential bookings in the future. Easy to reach, although in industrial kind of area. Friendly staff and easy to go on and out with access code. Good value for money. Breakfast was quite good and the bed was comfortable. The staff was very approachable, except one guy during the night shifts. 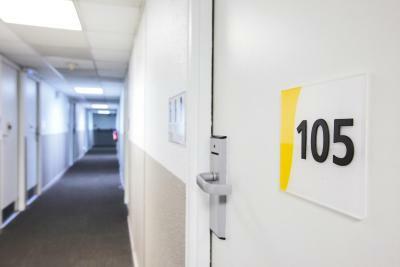 Pas de bruits lors des deux nuits passées dans l'établissement, très appréciable. Une seule serviette de bain, j'en ai demandé une supplémentaire, qui m'a été remise de suite. 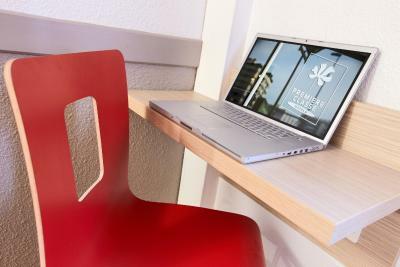 Located in the outskirts of Paris, this hotel is a 10-minute walk from the Mairie de Montreuil Metro stop, and a 10-minute drive from central Paris. 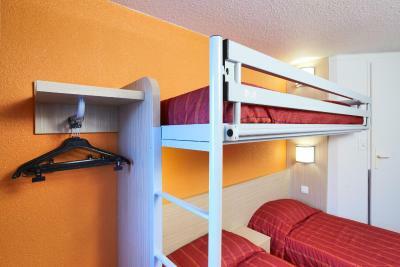 It offers rooms with free Wi-Fi access. 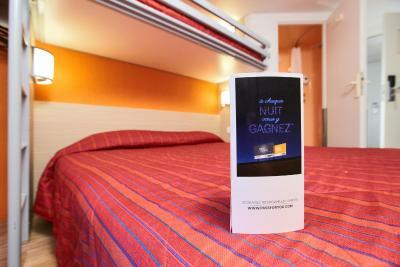 The guest rooms at the Premiere Classe Montreuil are all air conditioned. 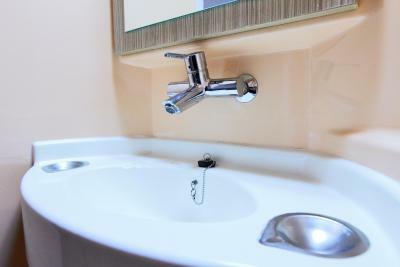 Each is equipped with a TV with cable channels and a private bathroom with shower. 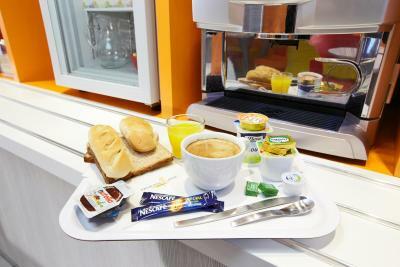 Guests can enjoy a buffet breakfast every morning from 06:00 in the dining room, and vending machines are available for hot and cold drinks and snacks. 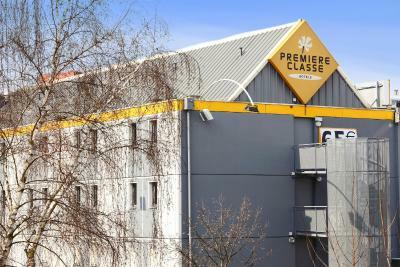 Facilities at the Premiere Classe Montreuil include a 24-hour reception, and a private car park available at an extra cost. 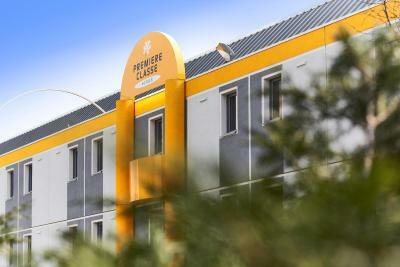 The Premiere Classe is a 5-minute drive from Porte de Bagnolet. 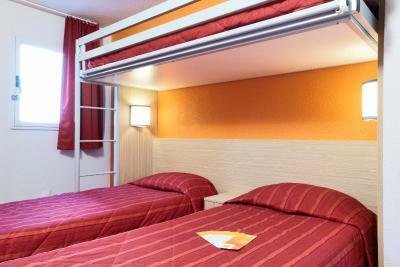 It is located between Orly and Roissy CDG airports. 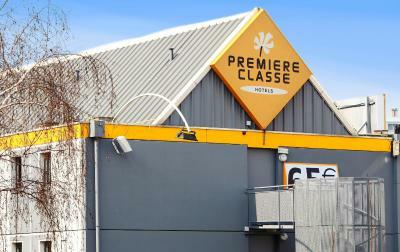 When would you like to stay at Premiere Classe Montreuil? This room has a private shower and a flat-screen TV with a built-in alarm. House Rules Premiere Classe Montreuil takes special requests – add in the next step! 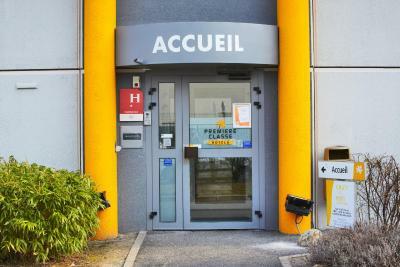 ANCV Chèques-Vacances Premiere Classe Montreuil accepts these cards and reserves the right to temporarily hold an amount prior to arrival. Premiere Classe Montreuil accepts these cards and reserves the right to temporarily hold an amount prior to arrival. Please note that a baby cot can only be added to the room on prior request, subject to availability. 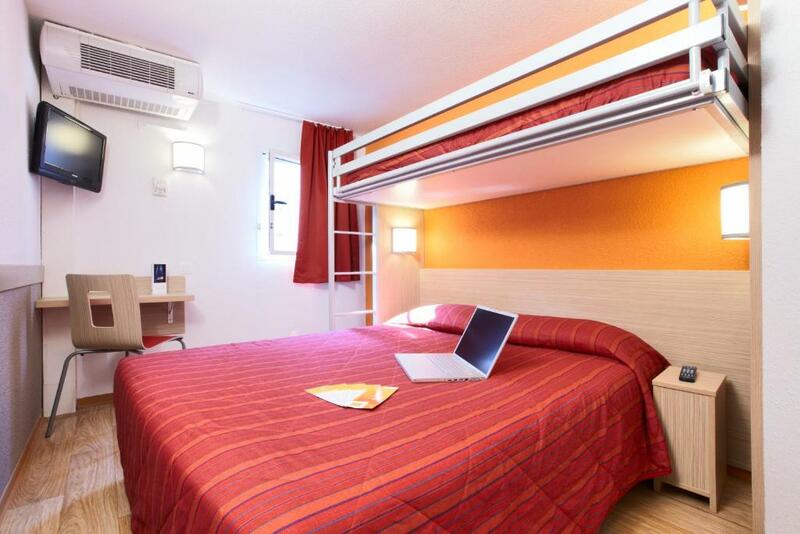 The rooms are fairly small even in the tripple room so i would recommend no more than 2 people per room. There are no shops in the vacinity so you would need to make sure you have food on you or money for the vending machines. The staff speak French which isnt bad in itself, but they will struggle if you have a strong accent and attempt to speak in english, you would be wise to either have google translate ready, a phrase book or better still, learn a few lines before you arrive. The building is around 20/25 mins away by taxi (nearly an hour if you walk) but on the good side you wont be disturbed by traffic or general city noise when trying to sleep. Toilet is too small to turn around. You need to prepare everything what you need. Anyway, it's kind of motel, not enough to say hotel. It's cheaper than many hotels. I’m not sure if hotel is the right name for it. We booked two rooms one for us one for our kids we had them in two different floors. 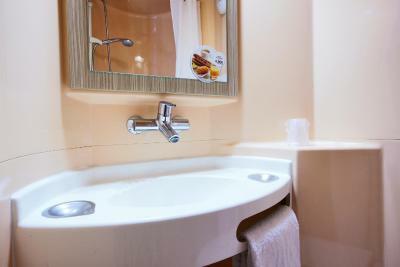 The rooms were absolutely awful the bathrooms were disgusting one room had a very strong smoking smell. Ween we left the place we all smelled as if we smoked. There was one kettle for the whole place and one small fridge. It’s never never for kids. Hotel horrible, dirty, smells like cigarette in rooms, corridors, beds are not changed, would not recommend in any way, let down. Nothing we didn’t like, it is what we expected. The room smelled of cigarette smoke. Breakfast is very basic and croissants were not available on the second day of the stay. We had booked double bed and we were given a disabled room with one pillow. Had to request for pillow and keys didnt work for the alternate room given the on second day. Nightmare never ended. That they false advertised a free breakfast.